The Vatican today published the second set of reports completed by the small circles in the Synod of Bishops. The circles are divided by language groups, and there are four English-speaking circles. The circles are working their way through the Instrumentum Laboris. The group took an innovative approach in its examination of Part II. 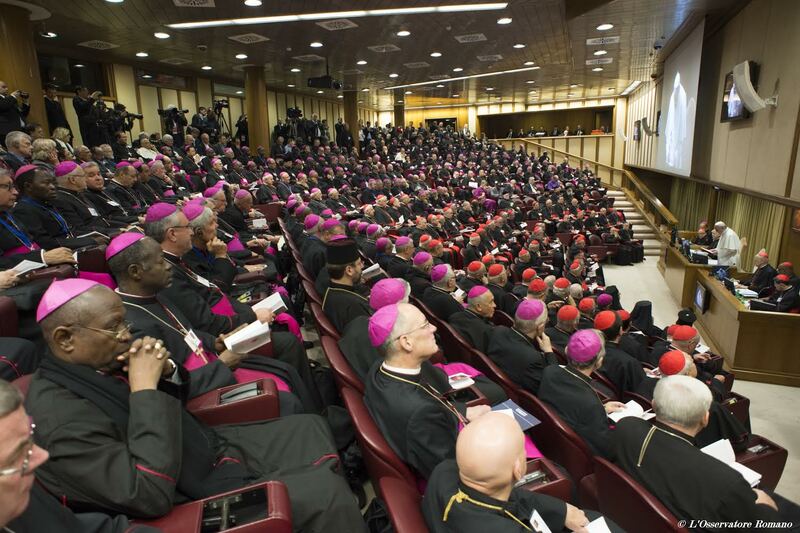 We recognize the centrality of this part to the entire reflection of the Synod. In addition to examining the Instrumentum Laboris paragraph by paragraph, the group sought first to identify a number of the basic themes of the Church’s wisdom on marriage and the family which we feel ought to be given prominence in the final document. A renewed and deeper reflection on the theology of marriage should be one of the fruits of the Synod. 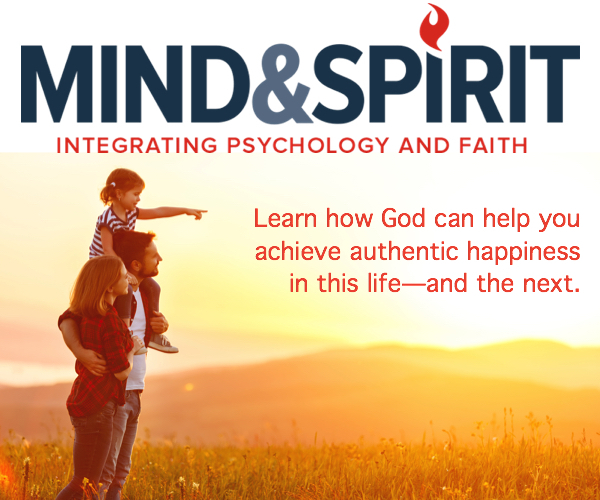 These themes included: The Divine Pedagogy, the Word of God in the Family, Indissolubility and Faithfulness, The Family and the Church, Mercy and Brokenness. The group proposed individual modi to some paragraphs, but above all it sought to reorder the succession of paragraphs in order to restore the natural flow of the paragraphs of the Relatio Synodi . The group strongly recommends that the entire Part II should be introduced by a much more detailed reflection on the Family and Divine Pedagogy. This reflection would constitute a new paragraph 37. The reflection should illustrate how the Divine Pedagogy for marriage and the family has accompanied the entire history of salvation and continues right until our day. We propose that the paragraph begin with Genesis, which already provide a definition of marriage as a unique union between a man and a woman, so total and intimate that because of it a man must leave his father and mother in order to be united with his wife. This account of the creation of marriage presents also the three basic characteristics of marriage, as it was in the beginning – monogamy, permanence, and equality of the sexes. However, as sin entered the history of humanity it brought with it the reversal of these basic characteristics. Polygamy, divorce, and submission of the wife to her husband became not just common place, but were even institutionalized in sectors of Jewish society. Through the prophets God constantly called for a change from this situation of sin and for the re-establishment of the original dignity of marriage, which was to come with Jesus Christ. The prophet Hosea found union and love between husband and wife as an appropriate paradigm to illustrate God’s love for his people. The Song of Songs gave a unique reflection on human love as a dialogue between two lovers praising each other, yearning for each other, and rejoicing in sexual intimacy. But the Divine pedagogy of salvation history concerning marriage and the family reached its climax with the Son of God’s entry in human history, as Jesus Christ was born into a human family. It was considered inappropriate for a Rabbi to speak with a woman yet Jesus dared to speak to a woman, who was a Samaritan – an “excommunicated” and a renowned sinner – something even more scandalous. To a woman who was brought before him prior to her being stoned for the fact that she had committed adultery, he said: “I do not condemn you. Go and sin no more.” He dirtied his hands through work, but not with stones to throw at others. The group presents this elaborated text recognizing that it is lengthy and new, and may not seem in line with the Synod methodology. Why do we do this? It is only through reflection on the Divine Pedagogy that we will understand our ministry as mirroring God’s patience and mercy. The Divine Plan continues even in our time. It is the Divine Pedagogy which provides content and tone for the teaching of the Church. It is the Divine Pedagogy which today continues the constant call of conversion, healing, and mercy to families as they struggle to realize their God-given vocation. The group set out, then, to apply such a pedagogy into our search for a language accessible to the men and women of our times. We propose alongside the term “indissolubility” to use a language which is less legal, and which shows better the mystery of God’s love speaking of marriage as a grace, a blessing, and a lifelong covenant of love. We recalled the testimony of couples who live a fully Christian marriage as a lifelong covenant of love, its permanence unto death being a sign of God’s faithfulness to his people. Indeed we can say that God recognizes the image of Himself in the faithfulness of his spouses and confirms with his blessing this fruit of his grace. The deepest meaning of the indissolubility of marriage, is then, the affirmation and protection of these beautiful and positive qualities that sustain marriage and family life, most especially in times of turbulence and conflict. The Church, therefore, looks to married couples as the heart of the entire family, which, in turn, looks to Jesus especially to his faithful love in the darkness of the cross. A stress on the divine pedagogy would also focus on the centrality of the Word of God in the theology of marriage, in the pastoral care of the family, and in family piety. The Christian community welcomes the Word of God especially when proclaimed at the Sunday Liturgy. Thus a goal for every couple and family would be to worship together faithfully at Mass every Sunday. Married couples and families also encounter the Word of God in the array of devotions and celebrations that are part of our Catholic heritage. Such piety includes approaching together the sacrament of reconciliation, common prayer and reading of the Scriptures, and other encounters with God’s word in catechesis and prayer. It was stressed that Catholic schools are an extension of parish and family catechesis. The Synod should encourage parents to seek out these schools as a uniquely compelling way to enhance and deepen the religious education which begins in the family. All of us need God’s mercy. In many societies today there is a sense of self-sufficiency, whereby people feel that they have no need of mercy and no awareness of their own sinfulness. At times this is due to an inadequate catechesis on sin, not recognizing sin as a wounding of our relationship with God and with each other, a wound which can be healed only through the saving power of God’s mercy. On the other hand there can be a tendency for us to put human limits on God’s mercy. The group felt a strong need for a deeper reflection on the relationship between mercy and justice, particularly as it is presented in Misericordiae Vultus . As we move on towards our reflection on the difficult situations to be examined in Part III, we should always remember that God never gives up on his mercy. It is mercy which reveals God’s true face. God’s mercy reaches out to all of us, especially to those who suffer, those who are weak, and those who fail. “How can I give you up, O Ephraim! How can I hand you over, O Israel… My heart recoils within me, my compassion grows warm and tender.” (Hs 11:8-9) As Pope Francis stresses in Misericordiae Vultus , God’s anger lasts for a moment, but his mercy lasts forever.